Police are appealing for witnesses following a fire at a restaurant in Sussex. 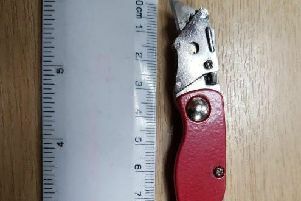 Sussex Police said the incident occurred at La Tana in Ladies Mile Road, Patcham, near Brighton, at about 12.30am on Sunday (June 18). A police spokesman said: “No one was present in the property at the time, however the occupants of the flat above the restaurant were evacuated as a precaution. “The incident was dealt with by East Sussex Fire and Rescue Service.